Over the past few years, the issue of mental health has been increasingly in the spotlight. An estimated one in six people in the UK suffer from mental health issues. With research showing that food affects your mood as much as it does your physical health, what can we do to help people appreciate the link?– especially in the workplace where employees spend an estimated 1/3 of their lives and may not be able to eat well. As highlighted in an article in the Guardian, ‘Eating junk food raises risk of depression’, the Journal of Molecular Psychiatry recently published findings from researchers in Britain, Spain and Australia who analysed 41 studies linking diet and depression. They found that foods that are high in sugar, fat and processed foods cause inflammation not just in the gut but also the whole body, known as ‘systemic inflammation’. This can directly increase the risk for depression. 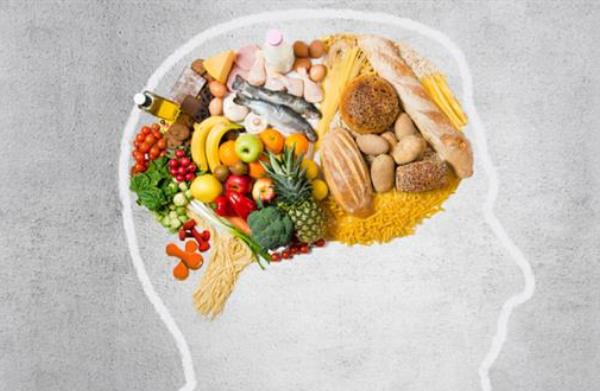 The findings support the recommendations offered by Public Health England, The Association of UK Dietitians (BDA) and mental health charity MIND, who all offer excellent information and advice about the links between eating well and mental health. – Include some protein at every meal: Protein helps to keep you feel full and therefore can prevent overeating. Tryptophan is also one of the building blocks of protein, which research shows may help with depression. MIND’s information support and ‘How to manage your mood with food’ short video also reminds us to try to avoid foods which make your blood sugar rise and fall rapidly, such as sweets, biscuits, sugary drinks and alcohol. The upcoming This Can Happen conference sets out to help companies who recognise that staff need support to deal with mental health issues affecting them, their colleagues or their families. It was founded by Jonny Benjamin MBE and Neil Leybourn, the two strangers featured in Channel 4’s ‘Strangers on the bridge’ and passionate mental health campaigners after Neil talked Jonny out of taking his own life. We’re attending to speak to attendees about helping staff to improve their diet alongside other ways to improve mental health. We’re interested to find out what – if anything – they do already, and to encourage sharing of best practice. Do companies have policies and guidelines for healthy eating? Do they provide healthy food and drinks to their staff? Does the company environment nudge their employees towards eating well, or do they in fact nudge them towards an unhealthy way of eating? Is nutrition included in any mental health advice they may provide? How can we help to make sure it is? As mental health becomes tackled in an evermore-thorough way, we’re keen to explore these questions and ensure that wherever possible eating and drinking well are considered key components when addressing the topic.